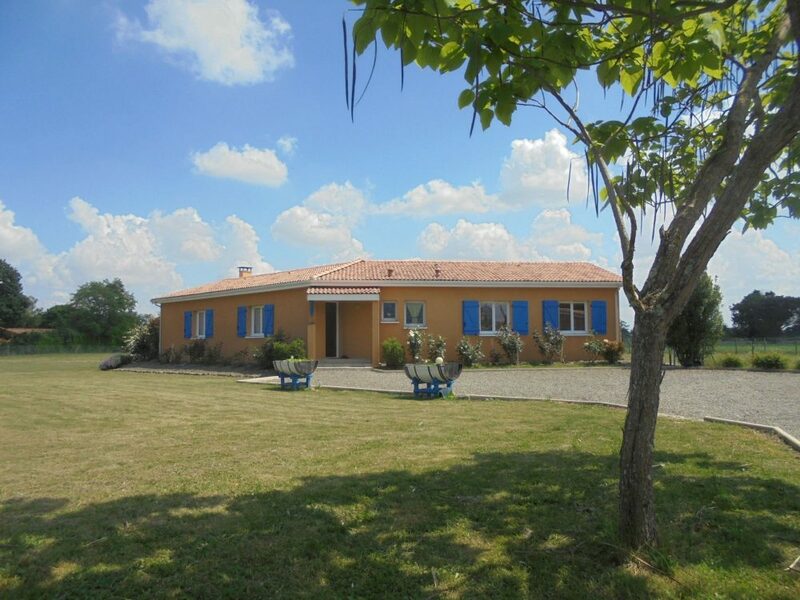 Single storey villa built in 2006 on 7322m² of fenced land. The house of 140m² habitable is composed of a spacious living/dining area(68m²) an open planned kitchen with utility,bath room, WC and 3 bedrooms and a dressing. The house is heated by wood stove and electric heaters. Double glazed windows. Septic tank is conform. Taxes Foncières 720€. 7322m² of fenced land with a well, garage and wood shed.